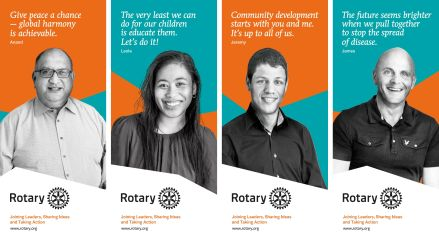 We hold a number of resources in Matamata and more in Wellington for use by all clubs in the district. In Matamata our repository is with David Hulme, “The Boltholder” 12 Farmer Road, Matamata. 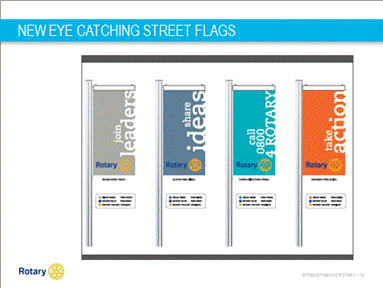 David holds quite a number of two different flag styles along with the new “Pull-up banners” all as shown here. It is our intention to increase the number of pull-up banners over the next few months and when they become available, images of these will also be shown here. In Wellington we have the modern “Street Banners” for use on the new street poles being installed by most councils and event centres around the country. 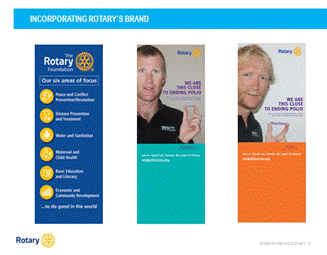 Club Development Chair, Roger Miller, has quantities of the brochure “Rotary Today” a handy free give-away to people who might well be interested in what we do and why. 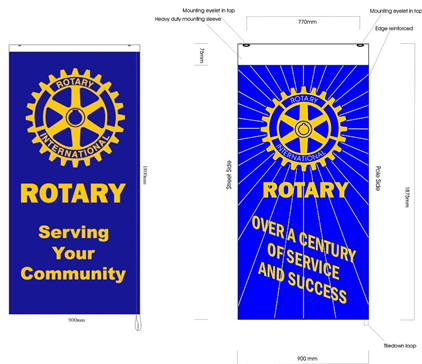 If you are requiring these pull-up banners for an upcoming event, please order in time as first in gets the goods. If you are requiring these for an upcoming event, please order in time as first in gets the goods. While there are a total of 60 of these, they are in use throughout the country so get your order in early. If you are requiring these for an upcoming event, please order in time as first in gets the goods. Note the physical size of these double sided banners. They are a high-quality double-sided banner designed for outdoor use. 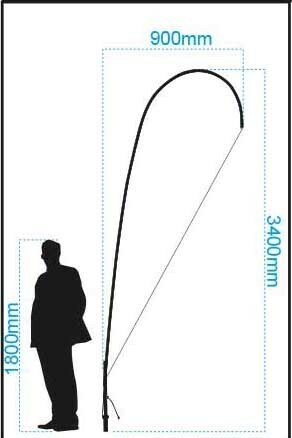 Despite the size, they are sent to you in an easily transportable bag. The four part base comes apart completely and is housed in another small bag with complete instructions on how to erect it. 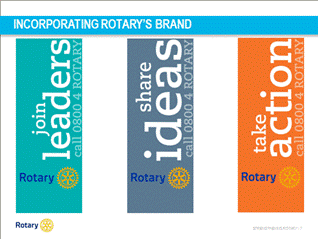 The new “Rotary Brand” has now been with us for two years and all clubs are asked to ensure that the old branding is phased out as soon as is reasonable. The above document gives all the necessary information regarding colours and fonts which can be used. It’s much greater than ever before but does have some restrictions. The document can be downloaded HERE. 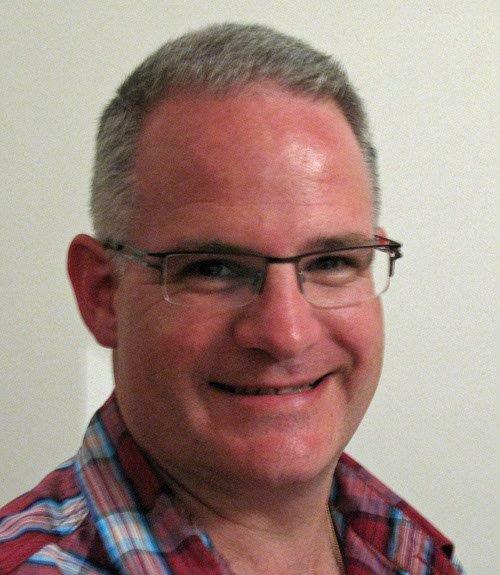 David Hume the 2017 Media support / District Resources Officer delivered a PowerPoint lecture in Taupo. The Powerpoint can be downloaded HERE.